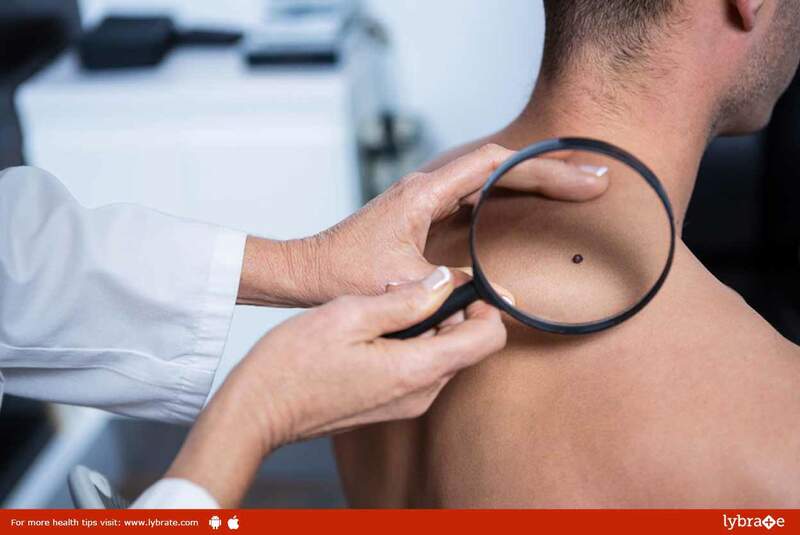 Skin Cancer – 4 Causes Of It! 1.Basal cell carcinoma is the most common type of skin cancer. In this the cancer cells grows slowly and while they do damage the tissues they do not spread to other areas. 2.Squamous cell carcinoma unlike the basal cell carcinoma has the ability to spread to other parts of the body. They are easily discernible as they appear as a lump with a dry surface but have the ability to develop into ulcers. 3.Melanoma is not a common form of cancer but it is the most dangerous one. 1. Errors In Skin Cells: Skin cancer is generally a consequence of error in the DNA of skin cells. This error causes the abnormal growth of cells. 2. Ultraviolet Rays: The harmful ultraviolet rays of the sun pose a threat to damage the DNA present in the skin cells. 3. Exposure To Toxic Substance: Prolonged exposure to toxic substance enhances the possibility of skin cells being damaged. 4. Weak Immune System: If an individual has previously suffered from any disease that has weakened the immune system, the possibility of the concerned person suffering from skin cancer is consequently very high. Swelling or a bump is a common symptom of basal cell carcinoma. In the neck or the face there occurs a pale bump or scar like bruises. Red nodules are symptoms of squamous cell carcinoma. People with darker skin generally develop nodules on their face or ears. Patches on the skin appear in case of melanoma. Melanoma is easily identifiable as moles to begin to develop on the body which tends to bleed sometimes. ← Stent – Are There Risks Associated With It?